Description: Book is a little bumped at head and tail of spine. Fore edge corners are a tiny bit rounded. Slight cocking to spine. Pages are clean and binding is tight. Dust jacket has small chips and closed tears to head and tail of spine. Some spotting on rear surface. A few small closed tears to and one chip to edges. Not clipped. DJ has been placed in an archival mylar cover. Uncommon Grosset edition. 1945. 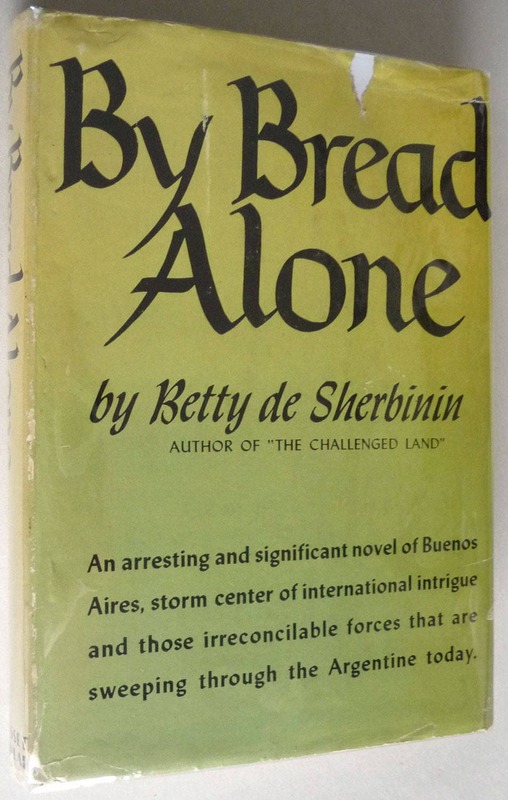 "An arresting and significant novel of Buenos Aires, storm center of international intrigue and those irreconcilable forces that are sweeping through the Argentine today."